The Heart of Scouting program started in the Utah National Parks Council with the idea of putting first duty first. My exposure to this program was through the Wood Badge course I attended in Utah County. It does not change or replace any official programs or requirements of the Boy Scouts of America. Its primary purpose is to give greater emphasis on the one requirement for rank advancement that is so important it is repeated for each rank from Tenderfoot to Eagle: “Show Scout spirit by living the Scout Oath (Promise) and Scout Law in your everyday life”. 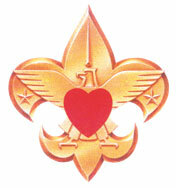 A Heart of Scouting pin has been created to help duty to God be the foremost part of Scouting. It is a symbolic reminder for Scouts and adults. The pin can be earned as a part of Cub Scouting, Boy Scouting, Varsity Scouting, Venturing and Exploring. It may also be earned by leaders and family members. It is worn by those who understand why duty to God is the heart of Scouting, have made a personal commitment to put duty to God first in their life, and want to use the pin as a way to remind themselves and encourage others to put duty to God first. 1. Participate in a training session on how to put the first duty first in your unit, church and family. 2. Make a list of ten things you believe are important for you to do as you try to do your best to do your duty to God. Place this list in a prominent place in your home. 3. Spend at least three hours in service where the sole purpose is to do your duty to God. 4. Make a personal commitment to put duty to God first in your life. With God being taken out of so many things these days, I would really like to see this program adopted and promoted at a national level! 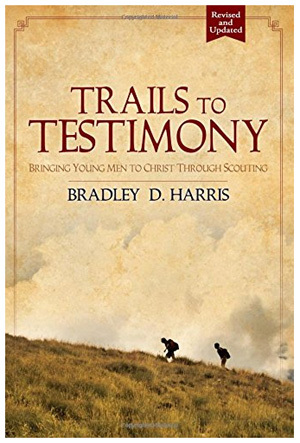 This entry was posted in Duty to God, Leading by Example and tagged boy scouts, duty to god, first duty first, heart of scouting, scout law, scout oath, utah national parks council, varsity scouts. Bookmark the permalink. How can I find a “training program” on how to put the First Duty first? Thanks for your website on the Heart of Scouting. I am working on promoting this program in my Pack. I’m looking for ways how others have promoted the Heart of Scouting.